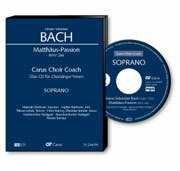 Every era hears and interprets Bach anew, and every era also evaluates the sources afresh and with new eyes. 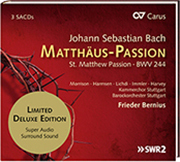 40 years after the publication of the St. Matthew Passion in the New Bach Edition, Klaus Hofmann, Director of the Johann Sebastian Bach Institute Göttingen for many years and a contributing editor to the New Bach Edition, presents a new edition. 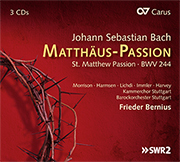 Hofmann has placed the study of the sources at the service of musical practice and the detailed investigation of Bach’s intentions. 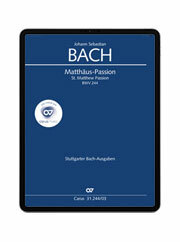 Bach scholars are well aware that Bach’s original score and performance parts, running to almost 500 pages of music, are full of ambiguities and contradictions, particularly regarding articulation, which constantly challenge performers to new interpretations. Hofmann discusses these and other problems in a concise critical report, frequently arriving at new conclusions in the process. Extensive notes about parallel passages offer valuable help for interpretation. Special attention was devoted to the performance material with regard to practical needs. Thus, for example the text incipits are also printed in the instrumental parts (including tacet passages). 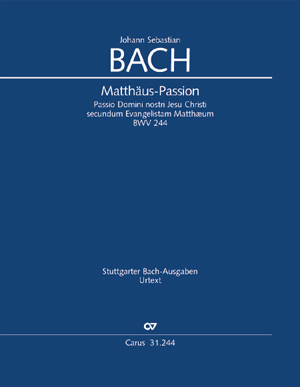 In short - an Urtext edition for practical performance based on the latest findings in Bach research.